Some of Britain's most notable tech personalities have been rewarded in the Queen's New Year's Honours list. Ian Livingstone, founder and life president of Eidos Interactive - publisher of the Tomb Raider series - has been made a CBE. Livingstone, who made his name by co-creating the Fighting Fantasy RPG books, has been recently campaigning for the improvement of computer education in schools. He told the BBC: "I'm genuinely humbled to get something. My life has been all about games, and I think we learn an awful lot through play." 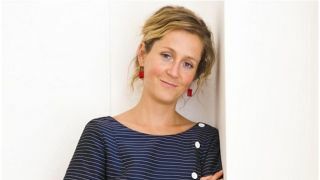 Also among those to be recognised is Martha Lane-Fox, the founder of lastminute.com and the government's digital champion. She also becomes a CBE. Imagination Technologies CEO Hossein Yassaie has been knighted for services to technology and innovation. Industrial designer Kenneth Grange, the brains behind the Kodak Instamatic camera, the creator of the InterCity 125 train and also the UK's first parking meter also becomes a Sir.